SPOKANE, Wash. -- A Washington actor who recently guest starred on the series "Twin Peaks" is charged with attempted murder after allegedly attacking his girlfriend with a bat at the Spokane business where she works, according to news reports. The incident happened Wednesday night. CBS affiliate KREM reports 41-year-old Jeremy Lindholm had been fighting with his girlfriend during the day and became enraged when she said she was leaving their home to get Kool Aid for Lindholm, but didn't return before she went to work. He allegedly showed up at the novelty lingerie store where she is employed and struck the woman 13 times with a baseball bat, the station reports. The victim's co-worker Daniel Graves told KREM he tried to de-escalate the situation, but couldn't stop the assault. "The guy grabbed a baseball bat and basically started beating her up with it," Graves said. Officers responded and were able to arrest Lindholm as he attempted to flee out of the back of the business, still carrying the bat, Spokane Police said in a statement. After interviewing the victim and witnesses, police say they determined the incident was domestic violence related. Surveillance video showed an "extremely violent" assault on the woman, and police say they believe the woman's life was in danger and Lindholm intended to kill her. The video also shows Lindholm choked the woman, flung her on the ground and jumped on her, landing on his knees on her chest, reports the Spokesman-Review. Court documents cited by KREM say Lindholm told officers he didn't intend to hurt the victim, but wanted police to shoot him in front of her. He allegedly admitted to punching the woman in the face. The Spokane Spokesman-Review reports Lindholm is an actor who recently appeared in an episode of "Twin Peaks" and was a regular background actor in "Z Nation." The Showtime network, which is airing the newest season of "Twin Peaks," did not immediately return calls for comment from the Spokesman-Review. Lindholm's IMDB page shows he played a small role in the show's sixth episode. "Z Nation" producer Steve Graham told the paper Lindholm was a regular background actor on the SyFy series, often playing zombies. "We were surprised and shocked and concerned for the family," Nash told the paper. Court documents said Lindholm and the victim have been dating for five years and living together for three, the station reports. 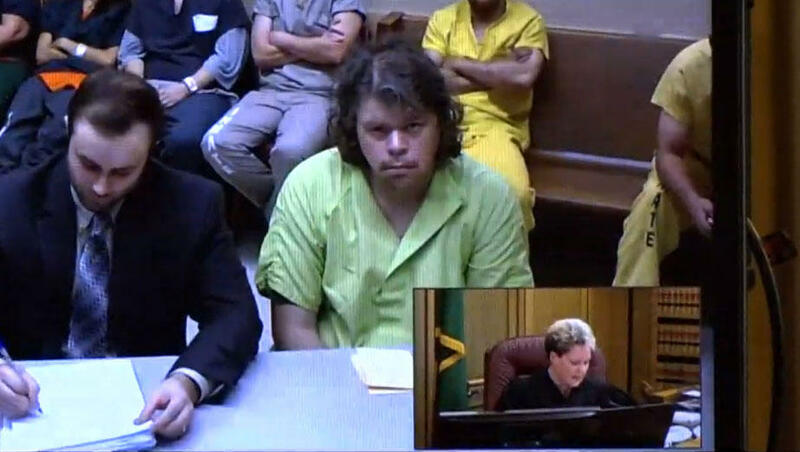 In court Thursday, Lindholm showed no emotion when he made his first appearance, KREM reports. He is charged with attempted second-degree murder and his bond was set at $100,000. The judge also issued Lindholm a no contact order with the victim.